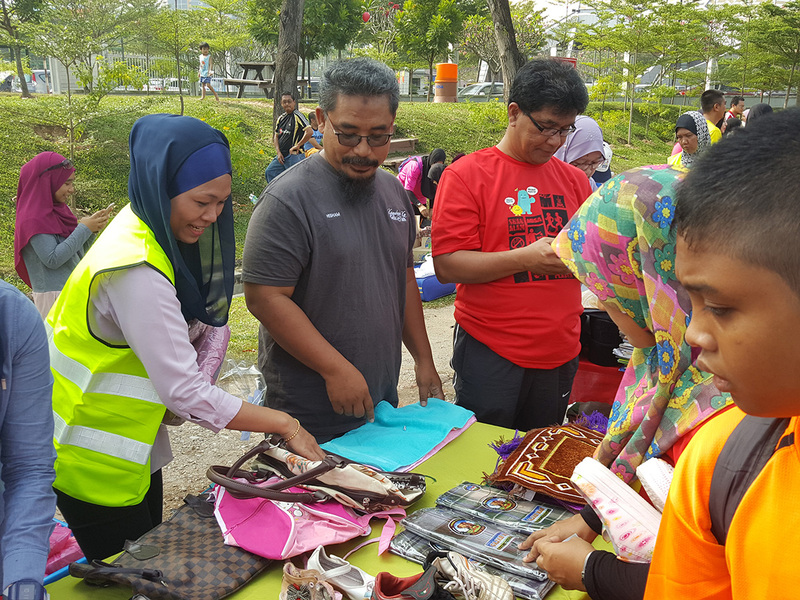 SHAH ALAM, February 11, 2018 – Lembaga Zakat Selangor joined #ECOFreemarket charity program in conjuction with Hari Tanpa Kereta organized by Majlis Bandaraya Shah Alam at Dataran Kemerdekaan Shah Alam. 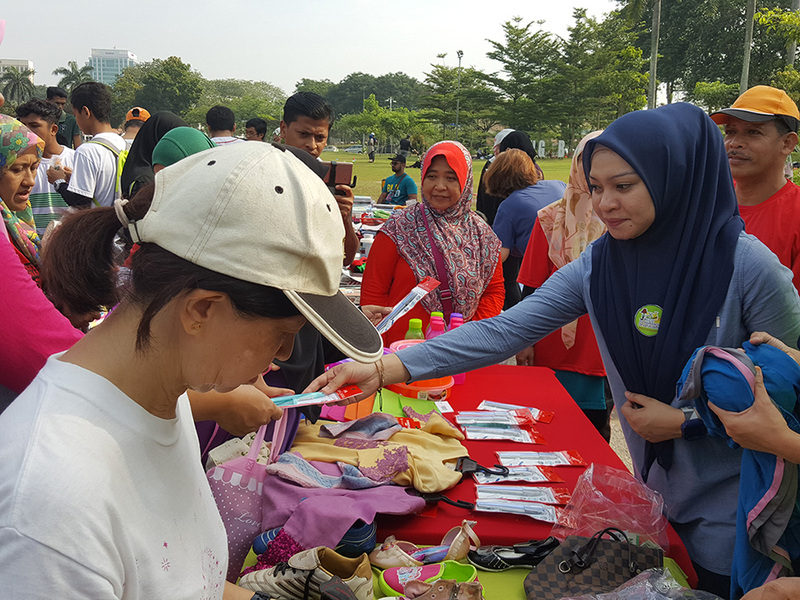 What attracts the #ECOFreemarket program is it encourages visitors to come and bring unused item for donations regardless new or used, to give for free to those who present and in need. It is an approach to make the charity to be unique, and also to be a platform for the community to share, as well as forming good values in life. This program was also participated by nearly 100 contributors from private agencies, NGOs and individuals and attracted 500 visitors from local communities. It is enlightened by the presence of faqr and miskin asnaf students from Bait Al-Hasanah who are among the recipients of the program.